Go Go’ers, it’s not officially summer yet but summer is happening big time this weekend. Three chances for last-minute Dad Day gifts. One surefire chance for Favorite Child Forever status. Go Go’ers, Los Angeles is a showbiz town but that doesn’t mean the biz is all multiplexes and movies for 12-year-old boys. The usual summer offerings notwithstanding…. A perfect example of entertainment without a safety net: the Hollywood Fringe Festival. Now in its fourth year, the Fest’s Thursday opening begins two weeks of a thousand performances of two hundred-plus productions at twenty Hollywood venues. That’s a lot of working actors. 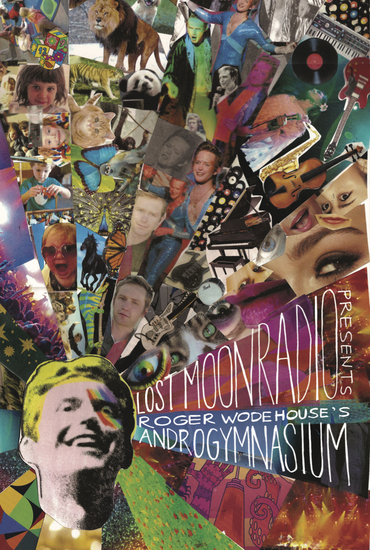 The always-hilarious Lost Moon Radio departs from their usual structure with Roger Wodehouse’s Androgymnasium (a NOT-for-kids kids show). Will Matthews (Punk’d) and Casey Christensen (Chelsea Lately) offer up the satirical one-act Daddy Isn’t Dead, Is He? Your call whether the second play is a good Dad outing or not. A Working Theater, which scored a Best of Fringe award in 2012 and nomination for Best Ensemble, is back with the world premiere of Lisa Ebersole’s Baby. And magicians David & Leeman (a.k.a. Filthy Liars), who were winners of the 2012 Los Angeles Comedy Festival and returning Top 10 Show of Hollywood Fringe Festival 2012, show you How to Convincingly Fake Honesty. That latter skill should help you in the other Hollywood…. In 2006, composers Thomas Bergerson and Nick Phoenix — collectively known as Two Steps from Hell — started writing music for movie trailers including The Dark Knight, Pirates of the Caribbean: World’s End, No Country for Old Men and Tron: Legacy. You were just wondering about Tron. The duo has subsequently had music featured on TV in Breaking Bad, Game of Thrones, The Walking Dead, and Homeland, among others, and released three albums — Invincible, Archangel, and Skyworld — which have consistently charted in the top 100 on iTunes/Soundtracks for the past three years. These guys are not to be taken lightly. 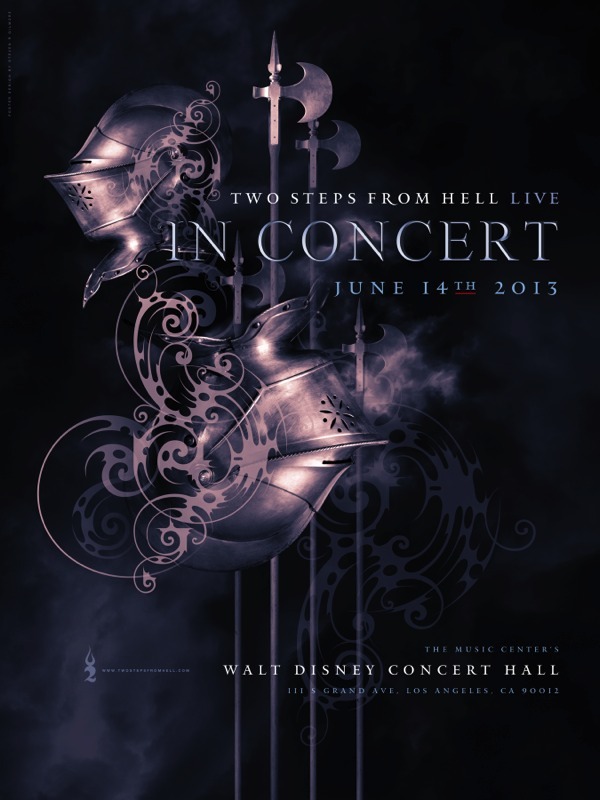 This Friday, the hell-raising duo takes over the Walt Disney Concert Hall where their beloved-by-Millennials classical music will be performed by the L.A. Philharmonic, a 60-voice chorus, and guest cellist Tina Guo in their first (and so far only) concert. Dude, just put down the remote and go. Question: where do indie culture and Costco meet? Answer: at the Ghettogloss Grand (Re-)Opening this Saturday at the historic Connors Plumbing Building in Eagle Rock. GG founder Fiora Boes, whose collaborators have included Tommy Chong, Benicio del Toro, Mark Mothersbaugh, Shepard Fairey, Allee Willis, Eddie Ruscha, Roseanne Barr and Angelyne, has long created happenings to promote the work of other artists. You remember Ghettogloss’s sketching sessions of bikini models in gorilla masks, right? This weekend, Boes promotes her own gorgeous work in the circus-themed Tightrope: a series of original paintings that combine large-format, digital process with hand-painted and silkscreened elements. And they’re available at Costco online. Yes, Costco. Want to make sure the paintings fit in your tiny, Staples Center-adjacent pied a terre? Stop by Ghettogloss’s new digs and check out the art (and the scene) while consuming Kettle Korn and absinthe popsicles. Absinthe: always good for making clear-headed decisions about art. And everything else.